A group of GUtech students and their professors participated in an international Urban Planning and Architecture Summer School in Berlin (Germany). The course was organized and held in collaboration between Prof. Alexander Kader of GUtech’s Department of Urban Planning and Architectural Design, Iowa State University (USA) and the City College in New York (USA). During the four week Summer School the students were working in the Design Studio Alte Kantine in the Berlin district of Wedding. “It was a beautiful location and a great work space where we worked in groups, sharing our knowledge and our cultures,” said Petrit Pasha, GUtech lecturer. During the workshops, the students were introduced to different computer programmes such as Grasshopper, Diva and Sepheira which help to analyse the energy performance of sustainable building designs. The students also conducted on-site excursions to different parts of Berlin and they visited the so-called City Models of Berlin, a public permanent exhibition showcasing the urban development of Berlin. Furthermore, the students traveled to other cities in Germany such as Hamburg where they visited the harbor district and they visited the famous School of Architecture the Bauhaus in the city of Dessau with the Master houses of famous modern architects like Walter Gropius and Mies van der Rohe. “The course was a great opportunity for us to learn more about the energy performance of buildings, the culture of Berlin and also meet with people from all around the world. We shared our knowledge, culture and created bridges, which will be integrated in our future work. 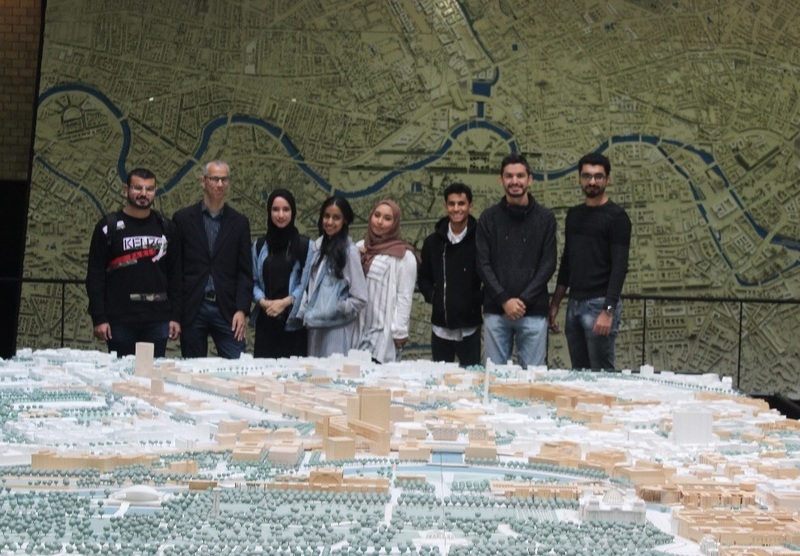 I recommend this programme to anyone who is interested in learning and developing skills in energy performance, sustainable building design and exploring the bustling city of Berlin,” said GUtech student Salim Al Kalbani at the end of the Summer School.